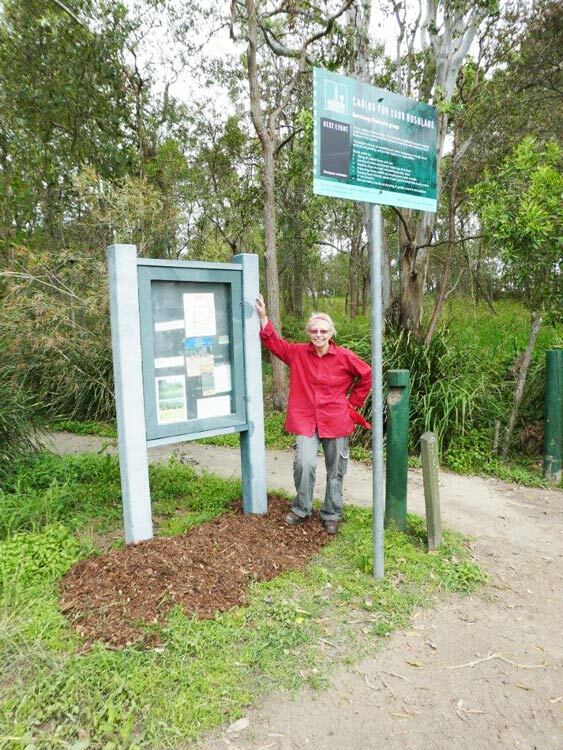 The Benelong Park Bushcare Group takes pride and great interest in improving the remnant forest adjacent to Mercer Park in Kedron, on Brisbane’s northside. You’ll find Benelong Park at the eastern end of Eleventh Avenue, just in Wavell Heights (UBD Ref Map 140, D2). 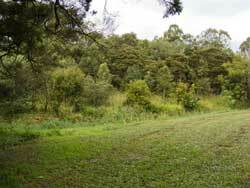 The Benelong Park bushcare area includes a lovely circuitous path used by walkers and cyclists. Take the path through the remnant Eucalypt forest and you will see signs of our work; including cleared weed patches and plantings. 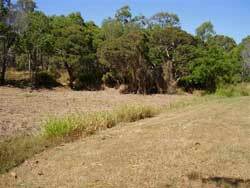 There are other areas tucked away from the path, including the revegetation site of a small rivulet that runs down through the park, providing a natural environment for frogs and water birds, especially after rain. 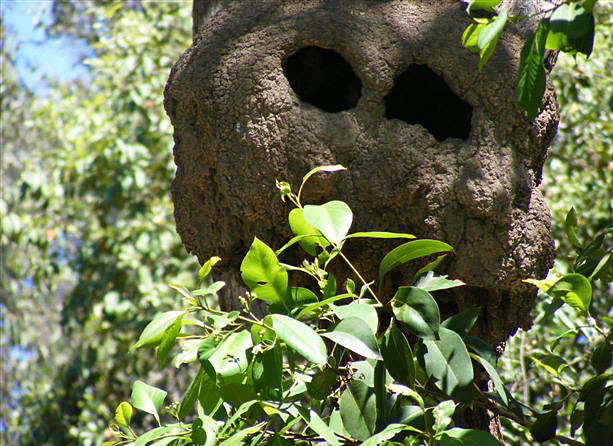 Being involved with the Bushcare group means you can make a real difference to the environment in a very practical way. 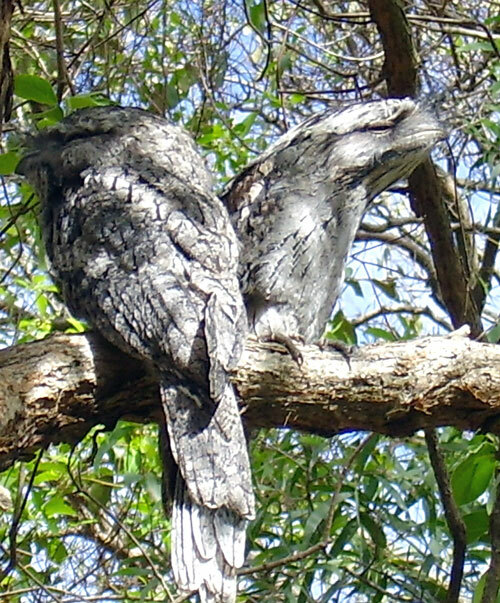 Our group has created a vibrant area that is now home to frogs, tawny frogmouths, many birds, possums and other wildlife. 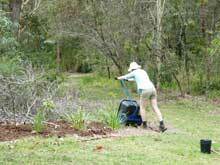 Plus we are helping to create biodiversity of species, reduce erosion and improve the health of Kedron Brook. The group started in 1990 with David O’Gorman as coordinator. 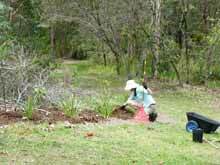 The members undertook significant planting and weeding control at this site with the help of students from local schools and scouting groups. 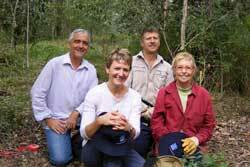 After a break for a couple of years, the group started again in September 2003 with Michael Wilson as Bushcare Leader. 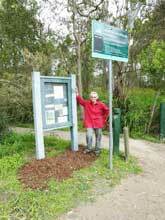 In 2013, Michael handed the Park over to Denise Rivers because of work commitments. 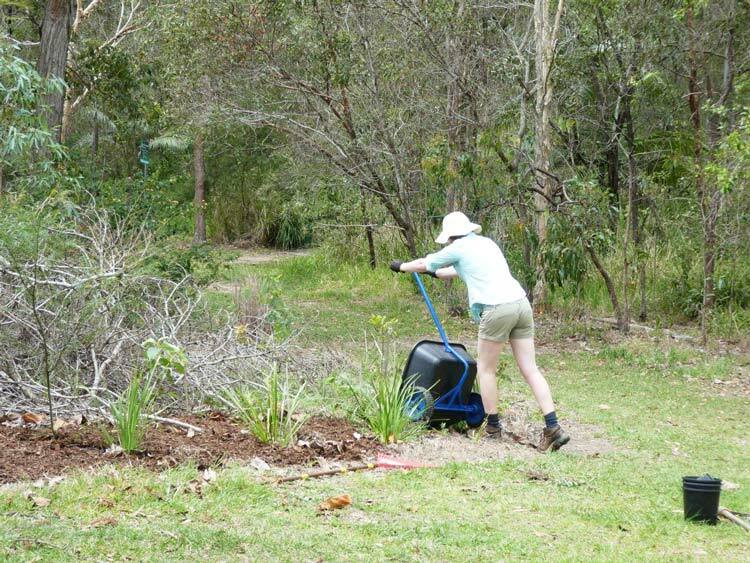 After a couple of years of working alone, then having a heart attack, and a major disappointment, Denise handed the bushcare group area over to Rob Lucas. Denise is still on hand to help out. Benelong Park used to be part of a rubbish dump until the area was developed for housing in the 1950s. This quiet section of bush now sits beside popular community facilities such as the Mercer Park, John Wren Oval (used for weekend cricket matches), the tennis centre off Shaw Road, the delicious mulberry trees near Kedron Brook and a busy bikepath. 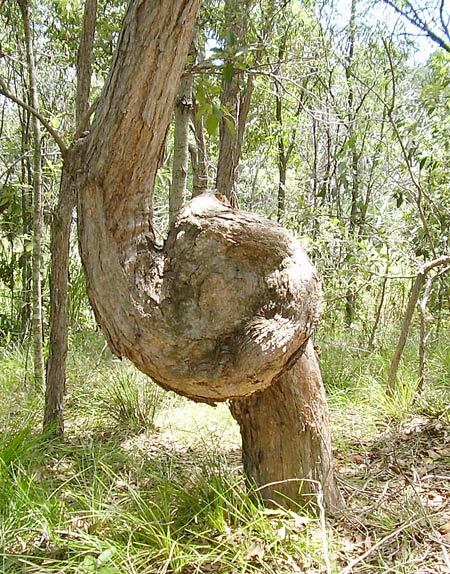 Angophora also thrives amongst the Eucalypts, though the specimen of Broadleaf Apple (species subvelutina), shown deformed in the graphic (far left), certainly suffered from some trauma in its developing stages. 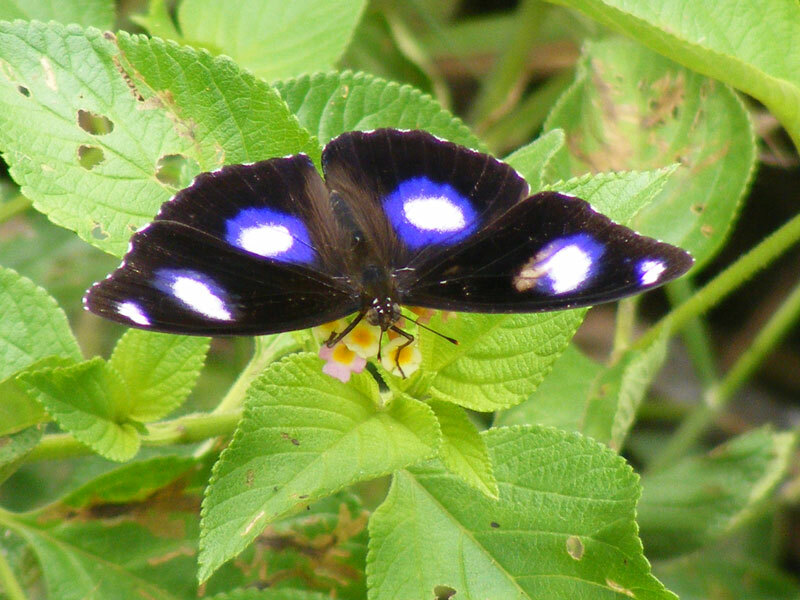 See also our special gallery page of native plants with yellow coloured flowers from this area. Photographs were taken by Denise Rivers. 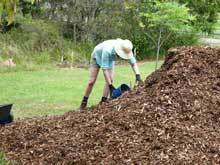 (11 October 2016) Alison delivering the mulch. (11 October 2016) 'Ain't it pretty', thinks Alison. New volunteers are always welcome and there is plenty of nearby parking. If you would like to join us call Rob on 33574121 A/H or Denise on 0414095638. As yet we don't have a set time or day so just call one of us and we will talk it over.